The conversions (goal completions and e-commerce transactions) reported by Google Adwords could be vastly different from the conversions reported by Google Analytics, as they both use different tracking methods. 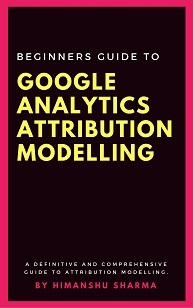 Google Analytics and adwords use different attribution models. Google analytics uses two different attribution models. GA uses last non-direct click attribution model for non-multi channel funnel reports and last click model for multi channel funnel reports. Whereas Adwords uses ‘last adwords click’ attribution model in which the last adwords click in a conversion path gets all the credit for conversion. The use of different attribution models alone, can create discrepancy in conversion data between Google Adwords and Google Analytics. For example if a user clicks on your Adwords ad and then later return to your website via organic search to complete a goal then Google adwords will give credit for the conversion to the last adwords click whereas google analytics will give the credit for conversion to organic search. In Google Analytics, all the adwords conversion paths (keyword path, ad group path and campaign path) are based only on clicks. Whereas in Google Adwords, the adwords conversion paths are based on both clicks and impressions. The Goal conversion rate in GA is based on the Goals you have defined for a particular view and the sessions recorded for that view. So filtered views can create huge data discrepancy between adwords and analytics. The goal conversion rate in adwords is based on the Goals you have defined via adwords conversion tracking code or the goals you imported from Analytics and the clicks/video views recorded for the goals. In Google analytics a goal completion is counted only once per user session. Whereas in Google adwords a goal completion can be counted many times per ad click. So if a file download is one of your goal then google analytics will count only one file download as goal completion in a given session no matter how many times a user download the file in the same session. Whereas in adwords, if file download is one of your goal then Google Adwords can count goal completion each time the user downloads the file after ad click, even in the same session. In adwords conversion tracking, there is no concept of user sessions. Moreover, Google analytics count conversions from all traffic sources and mediums. Whereas Google Adwords count only those conversions which resulted from adwords ad clicks/video ad views. In Google Adwords you can count conversions according to your business and marketing goals through flexible conversion counting. 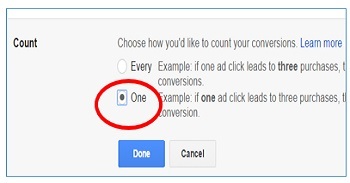 So for any conversion action (user action that leads to conversion) in Adwords, you can choose to count every conversion that occurred after an ad click or only one conversion that occurred after an ad click. If you however, want to track leads, then you would prefer to count only one lead conversion that happened after a click on your ad (unique leads). Google Analytics does not provide flexible conversion counting, which can create difference between Adwords and analytics goals data. Because of flexible conversion counting feature of Adwords, there is possibility that certain transactions which are recorded in Google Analytics are not recorded and reported by Adwords. For example if a user click on an ad and then place two different orders, then Google Adwords may report only one order (if the conversion count is set to one) whereas Google Analytics report two orders. Similarly, if Google Analytics tracking code does not fire for some reason (may be it is disabled by a user), then in that case, Google Analytics won’t record and report the user’s transaction but Google adwords will still count and report such transaction. Test transactions, reverse transactions and refund data can all create data discrepancies between adwords and analytics conversions data. Test transactions – it is common for developers to place test transactions on a website during testing. These transactions are often recorded and reported by Google Analytics but not by Adwords. Reverse transactions – in Google Analytics, you can reverse a transaction which is not possible in Adwords. Refund data – in Google Analytics you can import refund data which is not possible in Adwords. Google Adwords can discount invalid clicks and all the conversions which occurred as result of such clicks. This is not the case with Google Analytics. GA can still report on the conversions resulted from invalid adwords ad clicks. Data sampling issues in your Google Analytics account can very easily skew your analytics data and can create huge difference between reported conversion data in Google Analytics and Adwords. 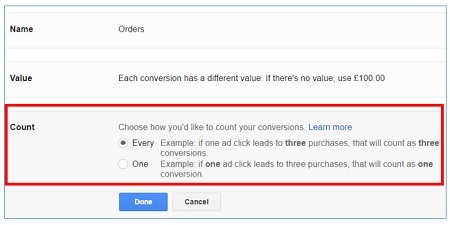 Google analytics and adwords can report same conversion on a different day and time. Google analytics report conversion on the day it happens. Whereas Google Adwords report conversion on the day, the ad was last clicked prior to conversion. Let’s say someone clicked on your Adwords ad on July 1 and then made a purchase on July 2. Now both Google Adwords and Google analytics will not report any conversion on July 1. However, on July 2, Google analytics will report the conversion. But Google Adwords will not report any conversion for July 2. Instead, it will now report the conversion for July 1. Conversions recorded via Adwords conversion tracking code are updated faster in Adwords (usually within 3 hours) than the conversions imported to your Adwords account from Google Analytics. The imported conversion data can take up to 9 hours to reflect into the Adwords reports. Because of this reason, the conversion data between Adwords and analytics, can be temporarily out of sync. There are certain categories of conversions which can not be tracked in GA at present. #1 Cross-account conversions – these are the conversions which resulted from your ads created in multiple adwords account. #2 Phone call conversions – conversions which resulted from phone call extensions or phone numbers embedded on your website. #3 View through conversions – conversions which resulted from the viewing (impression) of your video/display ad. For example a person saw your ad (but not clicked it) and then later completed a conversion on your website, can be counted a view through conversion in Adwords. #4 Cross device conversions – the conversions which resulted from an ad click on a different device. For example a person click on your ad, on one device and then later completed a conversion on your website via a different device, can be counted a cross device conversion in Adwords. #5 Cross browser conversions – the conversions which resulted from an ad click on a different web browser. For example a person click on your ad, on one web browser and then later completed a conversion on your website via a different web browser, can be counted a cross browser conversion in Adwords. Cross browsers conversions are included in ‘All Conversions’ in Adwords and are not reported separately. #6 Store visits conversions – the conversions which resulted from a visit to your physical store (shop, hotel, restaurant etc) after a click on your adwords ad.